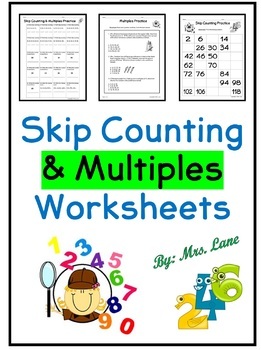 Are you students learning about skip counting and multiples? 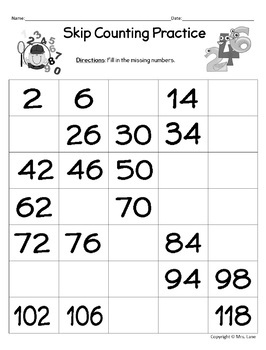 These ready-to-use worksheets are great for practice! 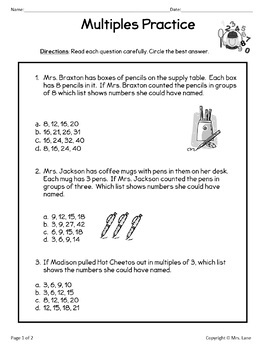 You can also use them as a quick assessment so that you know what areas individual students need help on! 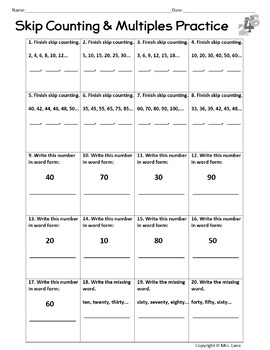 Another idea is to laminate the worksheets and place them in a workstation for additional practice time on this skill (just provide students with a dry erase marker and a Kleenex). "Thanks for a great resource!" --Alicia B.